There are multiple scenarios and factors that will influence the nature of teeth straightening, hence the need for different braces. The type you need to align your teeth will hinge on several elements. Your orthodontist, Dr. Mike McDermott, will recommend the best type for your situation; however, it is wise to familiarize yourself with the types available so that you can make an informed decision. These invisible braces are among the newest in the market today. They are not your usual braces. This is because they are not permanent but clear plastic retainers. 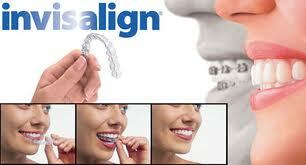 Invisalign braces are mainly recommended for patients whose teeth are crooked but to a small extent. If you opt for them, the orthodontist will take measurements of the teeth to be aligned and then send the information out to a laboratory where a series of custom plastic trays are made. The plastic retainers are worn for a while, and then on the next appointment the specialist gives you new retainers with a better fit. This process goes on until the teeth move into the correct position. Ceramic braces are the most common type. They are made by mixing various inorganic materials to form a new material. This new material is then applied onto the affected teeth individually. An arch wire is fitted to hold the material in position and also to provide alignment. The arch wire is stuck to the braces using ligatures. 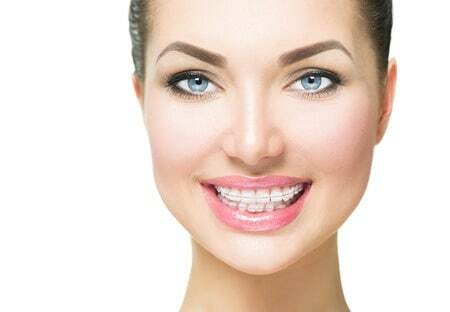 Ceramic braces are increasingly replacing the traditional metal braces. They function in the same manner as the metallic ones, but they are less conspicuous. They are also available in different colors to match the color of your teeth. Ceramic braces are also very tough. A complimentary consultation with Dr. Mike McDermott will give you a deeper insight about the best type of braces for you. Contact one of our conveniently located offices in Brainerd, Delano, Pequot Lakes or Baxter.